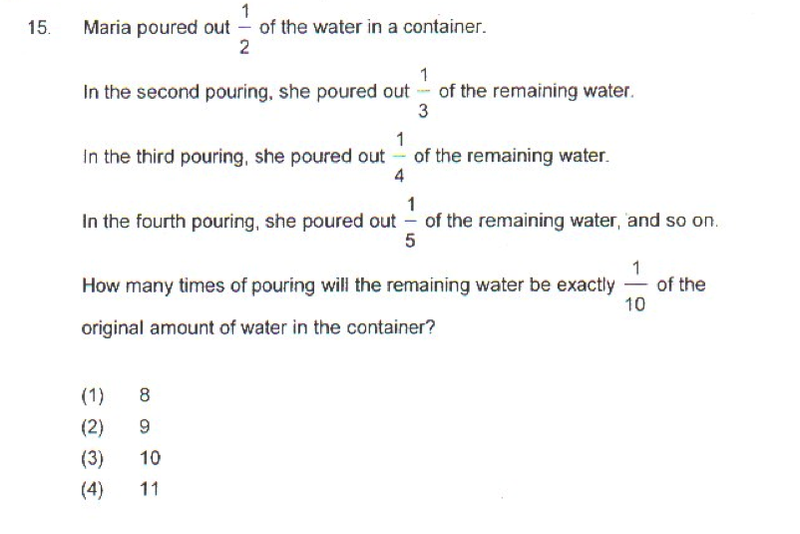 Can you solve this primary school maths question? The question below, from an 11+ paper, is a lovely example of how the 11+ doesn't just want you to rote-learn the material. Instead, often papers ask questions that really probe your understanding and test students' ability to think on their feet. Before watching the video, take some time to read the question and attempt to answer it yourself. As an aside, the software I'm using to display and write on the question is the online whiteboard that I use for Skype tutorials. Click the image below to play the video. For 11+ maths exam papers, including my mark schemes, click here. For 13+ exam papers, click here.